Lake Ozark bed and breakfast travel guide for romantic, historic and adventure b&b's. 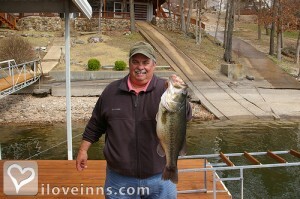 Browse through the iLoveInns.com database of Lake Ozark, Missouri bed and breakfasts and country inns to find detailed listings that include room rates, special deals and area activities. You can click on the 'check rates and availability' button to contact the innkeeper. Lake Ozark is a city that belongs to two counties in Missouri, particularly Camden and Miller. Its name naturally implies that its most scenic attraction is a lake. In fact, the city is located near the Lake of the Ozarks. Visitors and tourists who come to the city can indeed expect the opportunity to enjoy the water. 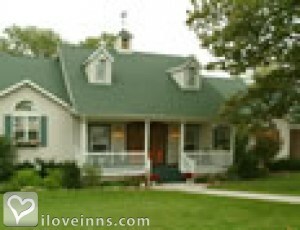 Lake Ozark bed and breakfast inns are ideally situated close to the lake itself. Avid golfers will easily find a course to play their favorite sport. Lake Ozark has two good golf courses; the Seasons Ridge Golf Course is one of the best in the state while Robert Trent Jones Course is a challenging 18-hole course. After a day at the lake or at the golf course a massage should be great. Spa Shiki and Pamela's at the Lake Day Spa are just a mile away from the center of Lake Ozark. By Bass & Baskets Bed & Breakfast.